For other uses, see Midlands. The Midlands is an area of central England that borders the South East, South West, North West, East of England and Yorkshire and the Humber. Its largest city is Birmingham. Broadly corresponding to the early medieval Kingdom of Mercia, it was important in the Industrial Revolution of the 18th and 19th centuries. The Midlands are mostly split between the East Midlands and West Midlands. 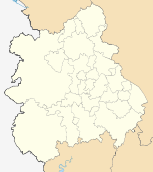 Although there is no precise definition, the Midlands, if defined as being made up of the regions of East Midlands and West Midlands, includes the counties of Derbyshire, Herefordshire, Leicestershire, Lincolnshire (not including its boroughs of North Lincolnshire and North East Lincolnshire), Northamptonshire, Nottinghamshire, Rutland, Shropshire, Staffordshire, Warwickshire, Worcestershire and the West Midlands metropolitan boroughs. If not following the official regional boundaries, the Midlands might be said to also include Peterborough (historically part of Northamptonshire) and the aforementioned boroughs of Lincolnshire. Additionally, there exists an informal region known as the South Midlands which could be defined to include Bedfordshire, Buckinghamshire, Oxfordshire and Gloucestershire. Conversely, although the northern parts of Derbyshire and Nottinghamshire are officially part of the Midlands, they are often considered to be in Northern England due to their proximity to the cities of Sheffield and Manchester. However, they are included in the North Midlands informal region which also includes Lincolnshire and Staffordshire. The two statistical regions of West and East Midlands. With more restricted boundaries than the traditional area known as the Midlands, two modern statistical regions together represent the latter: West Midlands and East Midlands. These are also constituencies of the European Parliament. the city of Stoke-on-Trent (13) and the borough of Telford and Wrekin (14); (unitary authorities). the cities of Derby (21), Leicester (22) and Nottingham (23); (unitary authorities). The two regions have a combined estimated 2014 population of 10,350,000 (10,135,000; 2011 census), and an area of 11,053 sq mi (28,631 km²). The largest Midlands conurbation, which includes the cities of Birmingham and Wolverhampton, is roughly covered by the metropolitan county of the West Midlands (which also includes the city of Coventry); with the related City Region extending into neighbouring areas of Shropshire, Staffordshire, Warwickshire and Worcestershire. Various parts of the Midlands, particularly Warwickshire and Leicestershire, are on occasion referred to as the Heart of England, especially in tourist literature given that the geographic centre of England is generally considered to lie within this arc. The Midlands Engine for Growth. The Midlands Engine for Growth is a government initiative established in 2017 that seeks to make the Midlands an engine of growth for the UK economy. It is backed by businesses, local authorities, and 11 Local Enterprise Partnerships. Its boundaries are wider than those of the statistical regions of the West and East Midlands, in that it incorporates the whole of Lincolnshire, including the districts of North Lincolnshire and North East Lincolnshire (which, although part of the ceremonial county of Lincolnshire, are in Yorkshire and the Humber region); Bedfordshire (East of England region); Aylesbury Vale and Milton Keynes districts in Buckinghamshire, and Cherwell district in Oxfordshire (South East England region). It does not, however, include Rutland (East Midlands region), which is part of the Greater Cambridge Greater Peterborough Enterprise Partnership. The Midlands is predominantly low-lying and flat, although isolated hills such as Turners Hill, within the Black Country conurbation (at 271 m / 889 ft) have extensive views. Upland areas lie in the west and north of the region with the Shropshire Hills to the west, close to the Welsh border, and the Peak District area of the southern Pennines in the north of the region. The Shropshire Hills reach a height of 540 m (1,771 ft) at Brown Clee Hill and includes the Long Mynd, Clee Hills and Stiperstones ridge. Wenlock Edge, running through the middle of the Shropshire Hills Area of Outstanding Natural Beauty (AONB), is a long, low ridge, which extends for over 15 miles (24 km). The Peak District reaches heights of between 300 m and 600 m; Kinder Scout is the highest point at 636 m (2,086 ft). Further south, the Welsh border reaches over 700 m high, at Black Mountain, which at 703 m (2,306 ft) is thus the highest point in Herefordshire. The Malverns are formed of some of the oldest rock in England (around 680 million years old) and extend for some 13 km (8 miles) through two West Midlands counties (Worcestershire and Herefordshire) as well as northern Gloucestershire in the southwest. The highest point of the hills is the Worcestershire Beacon at 425 m (1,394 ft) above sea level (OS Grid reference SO768452). Other areas of lower hills, in the range 200 m - 300 m, include Charnwood Forest in Leicestershire, Cannock Chase in Staffordshire, and the Lincolnshire Wolds (100 m - 200 m); the latter having some prominence despite their modest altitude given their location in typically low-lying Lincolnshire near to the east coast. The Cotswolds – designated an AONB in 1966. – extend for over 90 miles (140 km) through six counties (Oxfordshire, Gloucestershire, Wiltshire, Somerset, Warwickshire, and Worcestershire), but centred on Gloucestershire. They reach a highest point of 330 m (1,082 ft) at Cleeve Hill. The Midlands has a temperate maritime climate, with cold, cloudy, wet winters and comfortable, mostly dry, mostly sunny summers. The temperature usually ranges from −0.4 °C (31.3 °F) during winter nights to 24.1 °C (75.4 °F) during summer days. Due to its geographical location, which is furthest away from the coast than anywhere else in England, it typically receives mostly light winds, with warm days and cold nights. Sometimes the Midlands can have very cold nights such as a minimum of −18.7 °C (−1.7 °F) in Pershore on 20 December 2010. The previous day had a maximum of only −8.2 °C (17.2 °F), also in Pershore. Hot days are also possible, such as a maximum of 34 °C (93 °F) in Pershore on 19 July 2006. There can also be very mild winters nights, such as in Bidford-on-Avon when the temperature at 6 pm was as high as 15.2 °C (59.4 °F) on 9 January 2015. At 8 am the following morning the temperature was still at 13 °C (55 °F). ^ "Why the East Midlands and West Midlands must join forces". Birmingham Mail. Birmingham Mail. Retrieved 22 February 2019. ^ "South Midlands Region". Council for British Archaeology. Council for British Archaeology. Retrieved 22 February 2019. ^ North Midland Country: A Survey of Cheshire, Derbyshire, Leicestershire, Nottinghamshire and Staffordshire. Harold Ingram. pp. 0–116. Retrieved 22 February 2019. ^ The Rise of the English Regions?. Irene Hardill, Paul Benneworth, Mark Baker, Leslie Budd. p. 173. Retrieved 22 February 2019. ^ "The Midlands Engine". The Local Enterprise Partnership for Derby, Derbyshire, Nottingham and Nottinghamshire. Retrieved 28 July 2017. ^ "Some Shropshire Hills…". Shropshire Hills Area of Outstanding Natural Beauty. Retrieved 23 June 2016. ^ "Peak District National Park Facts & Figures". Wheeldon trees Farm. Retrieved 23 June 2016. ^ "The Malvern Hills". Abberley and Malvern Hills Geopark. Archived from the original on 21 July 2011. Retrieved 23 June 2016. ^ "Malverns Complex". Herefordshire and Worcestershire Earth Heritage Trust. Retrieved 23 June 2016. ^ "The Cotswolds". The Cotswolds. Retrieved 23 June 2016. ^ Calculated using data from WorldClim.org. Hijmans, R.J.; Cameron, S.E. ; Parra, J.L. ; Jones, P.G. ; Jarvis, A. (2005). "Very high resolution interpolated climate surfaces for global land areas. International Journal of Climatology". 25: 1965–1978. ^ Office, Met. "Ragley Hall climate". www.metoffice.gov.uk.